A dinner party is not complete without a nice array of apps, start here. That texture, tho. This lox dip is just the perfect dip for a cute little dinner party before the main course. 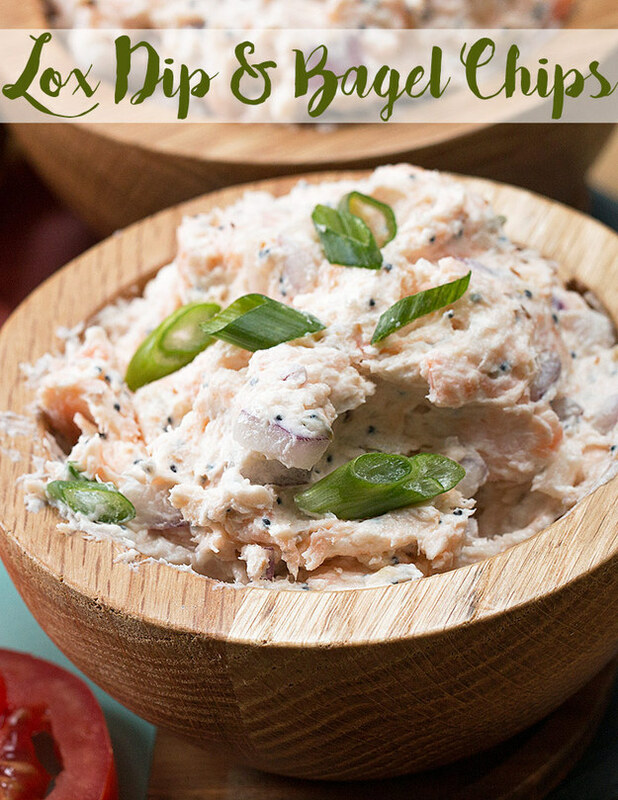 Serve it up with some bagel chips and be fab! This lox dip is just the perfect dip for a cute little dinner party before the main course. Slice the bagels in half, and horizontally slice each half into 3 thin pieces. On a baking sheet, lightly brush olive oil on both sides of the bagel slices. Broil for 6 minutes, flipping halfway. (Times may vary, so keep an eye on them!) Break the crispy bagels up into smaller pieces for dipping. Dice the lox, and place in a medium size bowl. Add softened cream cheese, diced onion, dried minced garlic, sesame seeds, poppy seeds, and fennel seeds. Mix until well combined. Place dip in a bowl and serve alongside the bagel chips. Enjoy!